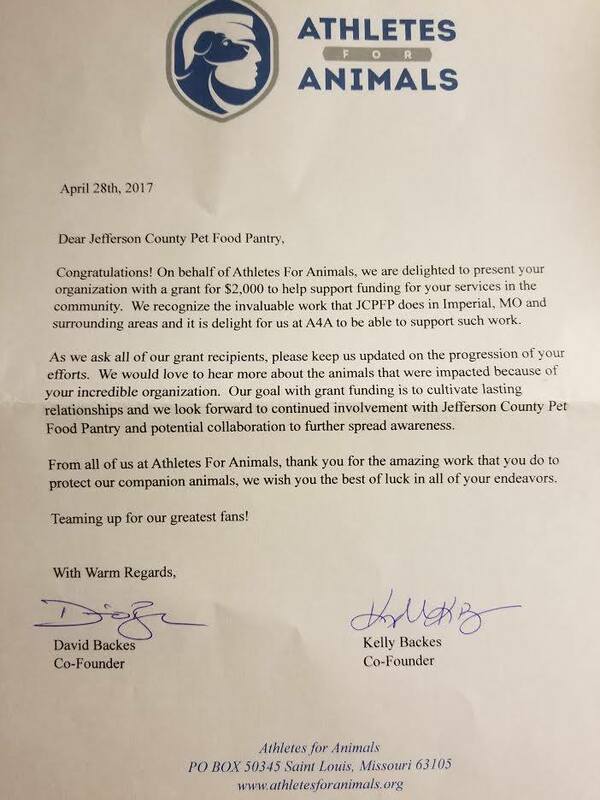 Jefferson County Pet Food Pantry : 2017 Was A VERY Good Year! We’ve distributed over 45,000 lbs of dry and thousands of canned pet food. These totals do not include treats, packaged food or cat litter. Lots of collars, leashes, bowls, shampoo and more have been given out. We expanded our outreach to those low income pet owners in rural, surrounding areas who have no help (Franklin, Washington, St. Francois and Ste. Genevieve Counties). We’ve covered the expense for 135 dogs and cats to be fixed. 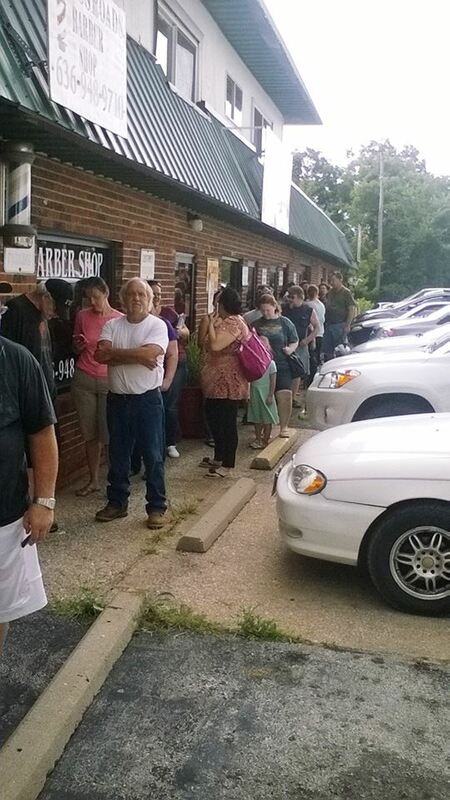 We’ve also referred many to FREE or low cost S/N through Carol House Quick Fix, APA and Humane Society. Sadly we covered the expense of 2 dogs and 2 cats to be humanely euthanized due to their people not having the funds. We want to make sure no pet suffers. Thanks to kind donations and our thrift store we have provided clothing, towels, blankets, coats, toiletries and food to some of our very needy, low income residents. Our thrift store sales have doubled. Thanks for shopping our store and donating goods. This year we receive our very first grant of $2,000 from Athletes For Animals! 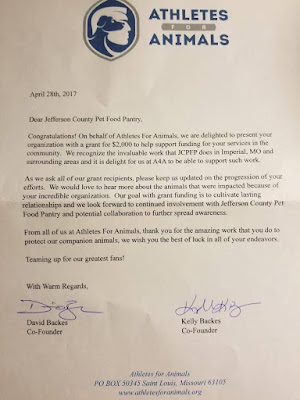 Thanks to Athletes for Animals and our grant writer “Joe” for doing such a great job. Carol House Quick Fix Pet Clinic, Arnold Animal Hospital, Ivan Animal Hospital, Martin Veterinary Hospital, LLC, Petco, Romaine Creek Veterinary Center, Murphy Animal Hospital, A Howlin' Good Time Doggie Daycare and Hotel, CANINE CONNECTION , Puppy Parlor, Jefferson County Animal Control, Missouri, St. Louis Pet Rescue, Camp Chaos Puppy Rescue, Red Cross Disaster Relief, Dept of Health & Senior Services and Jefferson County Division of Juvenile Justice (sorry if I forgot anyone). Special thanks to Tractor Supply Co. for all of the donations (pet food and much more). Joe and his staff have been a dream to work with and we can’t thank them enough. 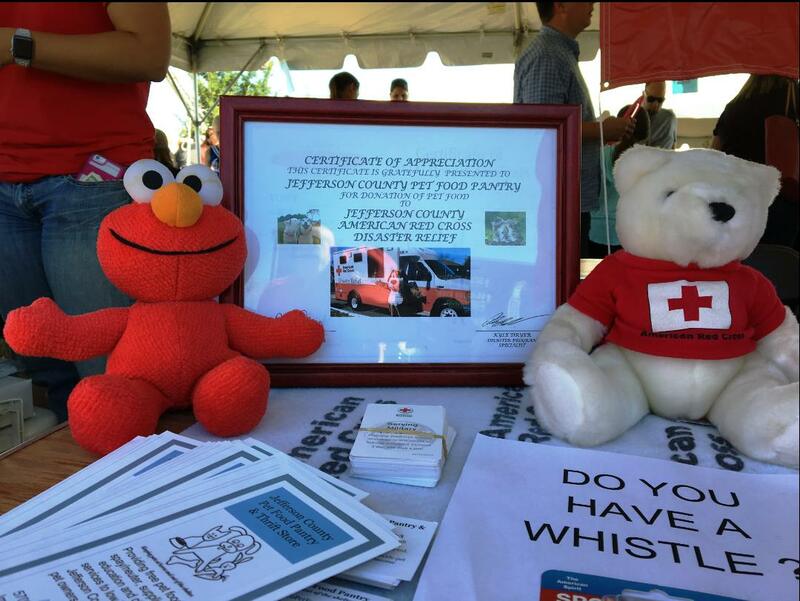 Thanks to all of you for supporting and donating to our cause. Mostly, I want to thank the volunteers who give up their time and work so hard to keep us going. 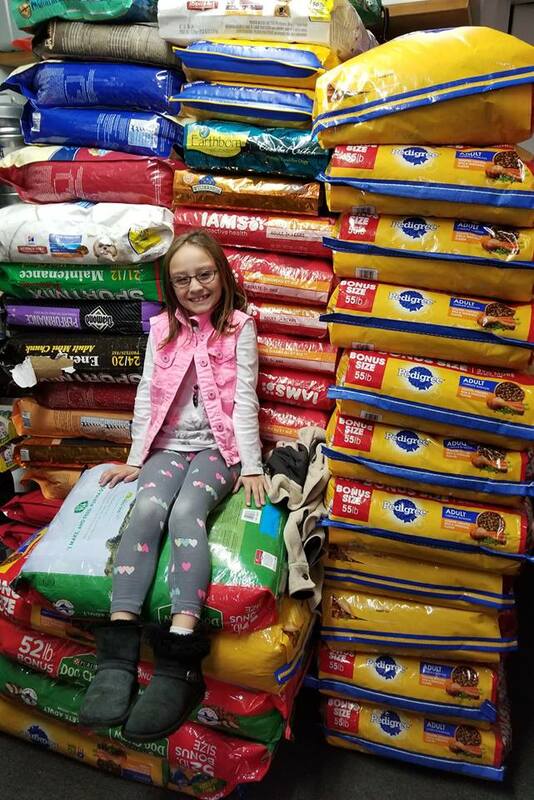 Thank you Jennifer Bess for delivering pet food to our home-bound pantry members. We have an amazing group of people!